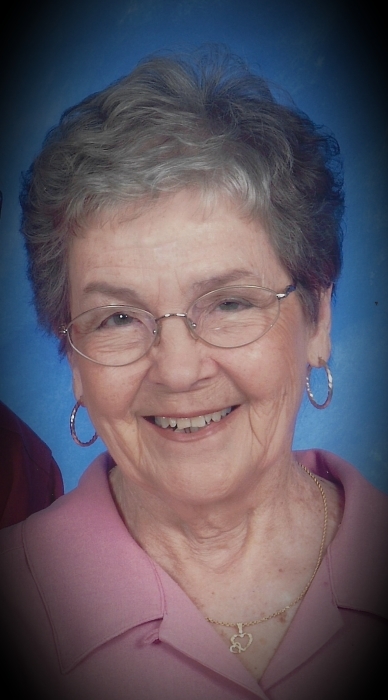 Obituary for Pauline T. Peters | Jones Funeral Home, Inc.
Pauline Thomas Peters, age 90, of Mountain View, AR, formerly of Crossett, AR, passed away on Monday, April 8, 2019. She was born on October 17, 1928 in Willetts, LA to Moses M. and Montie A. Patrick Thomas. She is preceded in death by her parents; her husband of 51 years, Chesley A. Peters and her daughter, Francis A. Smith. Mrs. Peters is survived by one son, David Wayne Peters (Kimberly) of Milo, AR; one daughter, Eva Applegate of Mountain View, AR; one brother, RC Thomas (Ann) of Monticello, AR; six grandchildren, Darrick Peters, Waylon Smith, Daniel Peters, Kellie Phillips, Kayla Green and Kristin Peters; six great-grandchildren and a host of other friends and loved ones. Funeral services for Pauline Peters is at 10:30am on Friday, April 12, 2019 at First Freewill Baptist Church in North Crossett with Bro. Travis Roberts officiating. Interment is in Judson Cemetery. Pallbearers are Shelby Jones, James David Mallory, Gaylon Peters, Chad Fitzpatrick, Bryan Whitehead and Matthew Presley. Honorary Pallbearers are Robert Means and Wayne Douglas Neal. One of the few people I have known who has one personality. Whether she was among the elite or the very poor, she was the same. A person who was a friend to anyone unless they did her wrong, then the friendship ended. A woman who was able to take my children and treat them as her own, not only in public, but also in private. A person with an unshakeable faith in God. If she wanted to do something and I was opposed, that was the end of it. Not many people can do that. A woman who felt blessed to have a family and a home. She enjoyed receiving gifts but enjoyed more being the giver.